Is there a person on your Christmas gift list who loves organizing parties and sharing a table of interesting foods with friends? 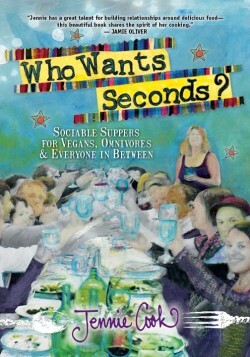 Then the delightful “Who Wants Seconds”, authored by chef and caterer Jennie Cook is the perfect selection (www.prospectparkbooks.com). Beautifully illustrated and containing a nice array of crowd-pleasing recipes for “vegans, omnivores and everyone in between”, “Who Wants Seconds?” inspires even the novice home cook with such classics as potato croquettes and off-the beaten path creations like Sweet Potato Lasagna. This book is sure to please anyone who finds it wrapped under the Christmas tree! “Who Wants Seconds” – Gotta Love It! The crazier the world gets these days, the more important home becomes. Junior’s Home Cooking (www.taunton.com) celebrates all of the classic comfort food recipes served the “Junior’s Way” at the New York landmark eatery opened by Harry Rosen back in 1950. Forget the calories, the gluten content and the low-fat versions, and go for the gusto with this wonderful compilation from Alan Rosen & Beth Allen, featuring more than 100 recipes ranging from Homemade Chunky Applesauce and Maryland Crab Cakes to Brisket with Roasted Vegetables and Classic New York Cheesecake. Take our advice and order two copies of this book because one you will definitely want to keep and cherish and the other share with a family member or friend who could use a little comfort food these days. 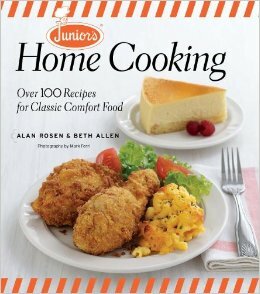 Junior’s Home Cooking by Alan Rosen & Beth Allen – Gotta Love It! Many people enjoy gifting others during the holiday season with something lovin’ from their oven. The new Better Homes & Garden Baking recipe book (www.bhg.com) is a spectacular visual treat that’s worthy of giving as a gift itself in addition to providing the reader with more than 300 baked goods recipes, tips and techniques, from novice through professional levels of skill. The photography is so gorgeous it feels like you could almost reach inside the page and grab a sweet snack for yourself. Good tutorial in the front of the book regarding bakery basics and we especially like the section on cookies and artesenal bread creations. 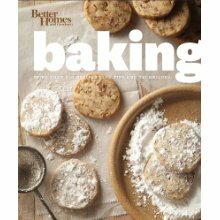 Better Homes & Gardens Baking – Gotta Love It! Cookies are among our favorite treats on any sugarplum holiday buffet, and we love the artistic inspiration provided by the new cookbook offering from Julie Anne Hession, “100 Best Decorated Cookies” ( www.robertrose.ca). Beautiful color photography accompanies the step by step instructions for creating such themed sugar cookies as Autumn Leaves, Christmas Trees, Squirrels, Snowmen, circus and farm animals and winter accessories. Spiral binding on this book makes it easy to lay flat while following the directions. Great resource section for where to find cookie baking ingredients and accessories by mail order. 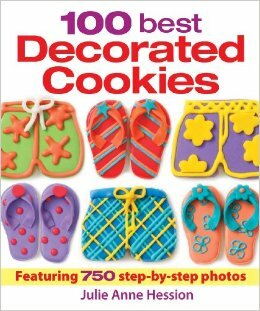 “100 Best Decorated Cookies” by Julie Anne Hession – Gotta Love It! Mama Was Right – Eat Your Spinach and More! Another great food reference book has crossed our desk, the very informative and well researched “Complete Leafy Greens Cookbook” by Susan Sampson (www.robertrose.ca). There are well rounded, interesting profiles on more than 60 different fresh produce items included under the “leafy greens” umbrella, along with selection, storage, nutritional information and serving suggestions. In addition to the more commonly known leafy greens such as bok choy, napa cabbage and collard greens, this wonderful directly also introduces the reader to more exotic choices such as nettles, scapes, yo choy sum and Houttynia. 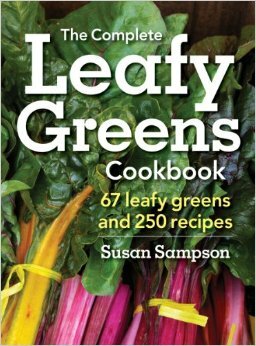 The Complete Leafy Greens Cookbook by Susan Sampson – Gotta Love It! This is the time of year when local Farmer’s Markets really start to blossom as spring’s bounty of asparagus, strawberries, artichokes, peppers and other wonderful produce items are available in abundance. What better way to get inspired than by picking up a copy of the newly released Better Homes and Gardens Fresh Cookbook, recipes for enjoying ingredients at their peak. There’s a great fresh produce primer at the back of the book and 300 recipes earmarked by season ranging from salads and side dishes to shortcakes and pizza perfect for brunch. Fresher is always tastier and better and the new “Fresh” from Better Home and Gardens proves it! The new Better Homes and Gardens “Fresh” Cookbook – Gotta Love It! One nice thing about winter is that it forces you to slow down and hibernate for a while when Mother Nature decides to cancel your plans with a bout of ice and snow. But being cooped indoors can actually be delicious if you have a copy of Better Homes and Gardens new “Ultimate Soups & Stews Book” (www.wiley.com). With 400 recipe offerings featured, many accompanied by four-color photos, you can create a different satisfying one-dish meal every day of week, ranging from a spicy Gingered Pork and Cabbage Stew to an Alphabet Soup with Turkey Meatballs. All of the soups and stews represented in this latest BHG guidebook are great for preparing ahead of time. This is a great reference book that you’ll find yourself referring to again and again for some dinnertime inspiration. 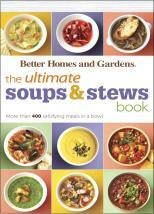 Better Homes and Gardens The ultimate Soups & Stews Book – Gotta Love It! 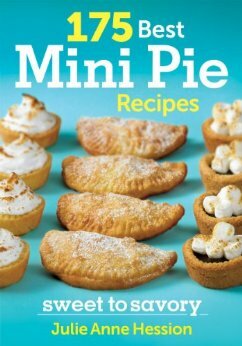 Our cookbook pick of the week was inspired by the original Betty Crocker Cookbook that premiered during the 1950s. 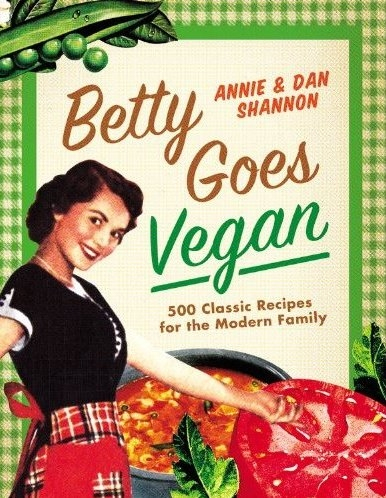 “Betty Goes Vegan” by Annie & Dan Shannon (www.meettheshannons.com) is a very entertaining compilation of 500 recipes that are cruelty-free versions of the ones first promoted by the Betty Crocker brand. We like the friendly patter that the authors carry on throughout this cookbook almost as much as we like the variety of recipes featured. From Pumpkin Gnocchi and Cherry Cola Vegan Chicken Wings to Borscht for Vegans Who Don’t Like Beets and Strawberry and Rhubarb Pie, these recipes will have you planning a trip to your local grocery or farmer’s market and getting busy in the kitchen! Betty Goes Vegan – Gotta Love It! “Complete Cake Mix Magic” by Jill Snider (www.robertrose.ca) is our cookbook pick of the week. Simpled inspired ways (300 of them) to transform a box of simple packaged cake mix into a show-stopping dessert or bakery item your family and friends can ooh and aah over. No meal is complete without a sweet treat at the end, even breakfast, but those bills for fancy bakery-bought items can sure add up fast. Spend a weekend morning in the kitchen trying out Snider’s creative recipes for such goodies as Chocolate Raspberry Almond Oat Bars, Queen Elizabeth Cake and Pina Colada Torte and you’ll have an assortment of great-tasting and tempting bakery offerings to last you through the week! This book is also a great resource for parents who are fundraising for their children’s schools and need good ideas for bakery items that will just fly off the shelf at bake sales. 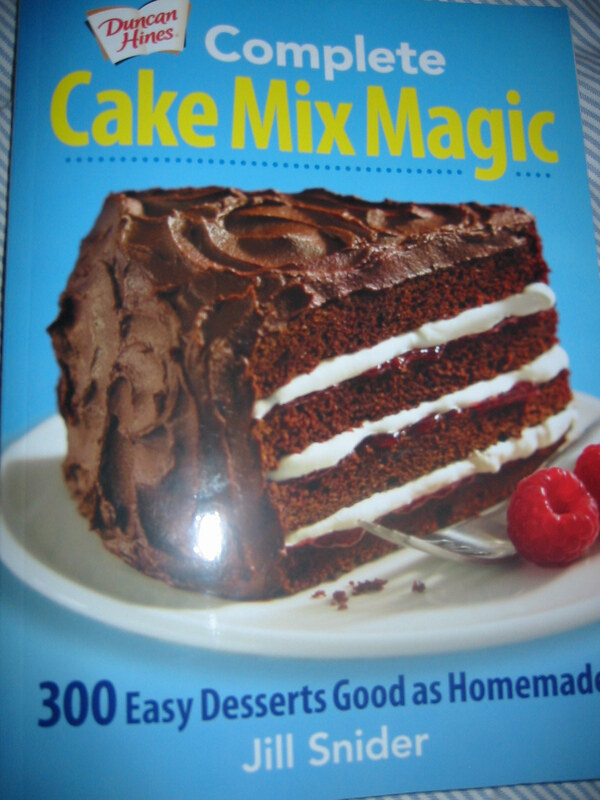 “Complete Cake Mix Magic” by Jill Snider – Gotta Love it!